Every time I volunteer, I leave the clinic knowing I was right where I should be that day, because we help people who really need us. 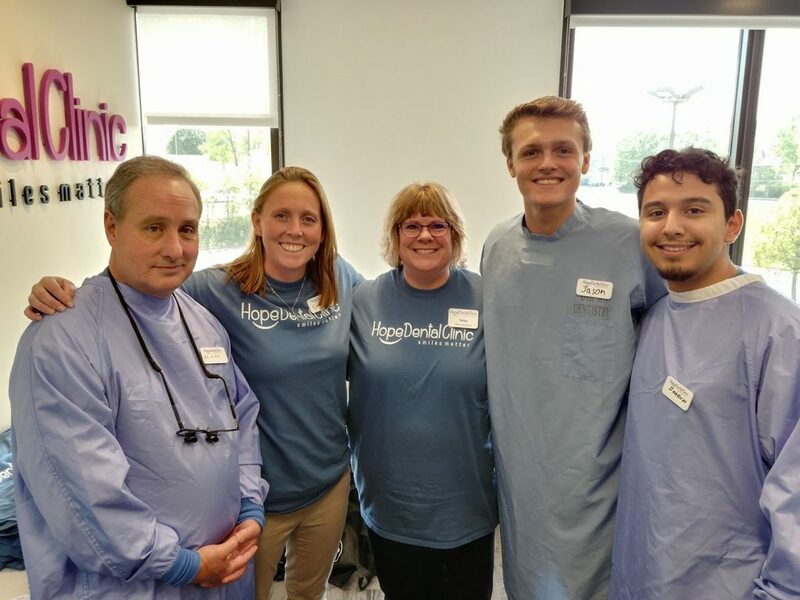 Hope Dental Clinic was launched over 50 years ago with the help of the University of Minnesota School of Dentistry faculty, students and other licensed dentists, hygienists and dental assistants. 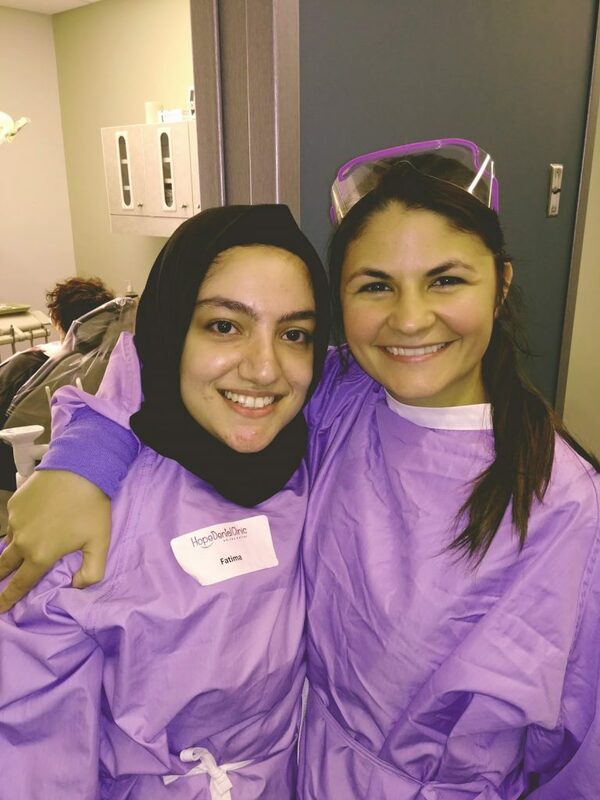 We partner with faculty and current students from the Minnesota School of Dentistry, Century College, Metro State University, Herzing University, and Argosy College. Over 60 dentists volunteer each year including members of the Saint Paul District Dental Society and retired dental professionals. Join our team of volunteers! If you have a special gift that will benefit our patients, please complete a volunteer application. View our current list of volunteer dentists here. View photos of our new clinic here. Hours are available Monday-Thursday for our daytime clinic, 8 a.m. to 5 p.m. and our evening extraction clinic, 6 p.m. – 9 p.m.
We also need volunteers for our Give Kids a Smile and Saint Paul Dental Connect events on Fridays and Saturdays throughout the year, and our Mission for Healthy Smiles outreach to schools and other organizations. Dental therapists interested in volunteering may contact Amanda Moody to discuss opportunities. Evening clinic hours are available Monday-Thursday, 6 p.m. – 9 p.m. We also offer some daytime volunteer opportunities; please contact Amanda Moody to discuss these options. We also need volunteers for Give Kids a Smile and Saint Paul Dental Connect events on Fridays and Saturdays throughout the year, and our Mission for Healthy Smiles outreach to schools and other organizations. Contact Amanda Moody to ask if other volunteer opportunities are available in addition to those listed above. Volunteer opportunities are available for our Mission for Healthy Smiles outreach events scheduled throughout the year. All students may contact Amanda Moody to ask if other volunteer opportunities are available in addition to those listed above. Hours are available Monday-Thursday for our daytime clinic, 8 a.m.-5 p.m. and our evening extraction clinic, 6 p.m.-9 p.m.
We also need interpreters for our Give Kids a Smile and Saint Paul Dental Connect events on Fridays and Saturdays throughout the year, and our Mission for Healthy Smiles outreach to schools and other organizations. We have many options for non-clinical volunteers. Those options include assisting with fundraising, clerical work, researching, oral hygiene education, program planning and shadowing/helping the clinicians. The clinic works with each volunteer to find the best area that will align with the individual’s primary interest for volunteering. Please contact Amanda Moody to discuss your interest and availability for volunteer opportunities that may be available.